Although no organization that predictively polls the Democratic Presidential primaries has sampled the question (or its equivalent) “What is the most important reason why you prefer that candidate?” the assumption by political pundits has always been that, regarding Hillary Clinton voters, perhaps the most important reason for their choice of Clinton over Sanders is that she would be a stronger candidate against the Republican nominee in the general election than Bernie Sanders would be. The widely presumed argument there is that Clinton “has more experience” and is more “mainstream” than Sanders, whom ‘too many people’ consider to be ‘outside the mainstream’ because he is ‘farther left’ than she, who is the more ‘centrist’ of the two Democratic candidates. By contrast, the exit polls in the individual state primaries consistently do test for “Top Candidate Quality” explaining their vote; and, almost each time, “Honest” and “Cares” are very high for Sanders voters, while “Electability” and “Experience” are overwhelmingly high for Clinton voters. The exit polls are just about as definitive a confirmation as could possibly exist showing that Hillary Clinton is, to a large extent, preferred by her voters because they view her as being far more “electable” than is her opponent (Sanders). She is even more overwhelmingly viewed by them to be more ‘experienced’ than Sanders, and we’ll get to that later in this article. 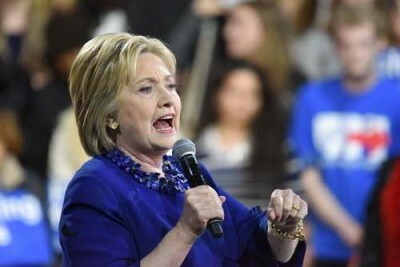 However, whatever the argument is, that’s given for her to be stronger in the general election than he is (i.e., to be more ‘electable’), it’s a false argument, because its conclusion is demonstrably false: the data on that matter — the opposite-Party pairings in the predictive polls — are convincingly to the exact contrary: he’s far more electable than she is. What has long been very clear there, for quite some time, is that in the general election, Sanders is overwhelmingly stronger against the Republican nominee (whomever that might turn out to be) than is Clinton. In order to come to a less-shallow and more-truthful analysis of what explains the relative ability of each of the two Democratic contenders to defeat the Republican nominee, an examination of the perceived-honesty factor should play a large role. For example, in the shocking Michigan win by Sanders over Clinton, the answers on the “Top Candidate Quality” factor showed that Sanders was voted for by 78% who chose “honest” as the top trait, but only by 27% of those who selected “electability,” and by 18% of those who opted for “experience” as the top trait. He was also selected by 56% of those who chose “cares” as the top. Those are the only four factors asked in the exit polls, and they provide deep understanding of why each candidate was winning or losing. Other factors too might be significant, but, whatever the reasons for Sanders being the stronger of the two Democrats to win in the general election against the Republican nominee are, is not important in the present context, because the data consitently do show that the result (whatever the reasons for it) is that Sanders is the stronger general-election candidate against the Republican. By the way, in the Hillary blowout win in South Carolina, Clinton was the candidate voted for by 51% of the voters who rated “honest” as the top quality, by 82% who rated “electability” top, by 94% who rated “experience” top, and by 68% who rated “cares” top. That’s why she received an unprecedented 74% to 26% blowout win against Sanders in that state. In the general-election-tossup state of Virginia, exit polls showed that 78% of the voters who rated “honest” the “Top Candidate Quality » were Sanders voters, 86% of the voters who rated “electability” the “Top Candidate Quality” voted for Clinton, 95% who chose “experience” as the top, voted for Clinton — and, of these four traits, “experience” was overwhelmingly the “Top Candidate Quality” for more voters than any of the other three, which is the main reason why Clinton won Virginia (i.e., because of her having been overwhelmingly viewed there to be the more ‘experienced’). But the point is, yet again, that, in the general-election match-ups, Sanders really and authentically IS the more electable of the two Democrats to become the U.S. President. That’s just a fact, though consistently Clinton voters assume the exact opposite of the fact. Their assumption on that is plain false. So, also on “experience,” Clinton’s voters assume to be true what’s actually false. Finally, returning to our main topic, electability: there is also this: What Hillary did by destroying her federal records, her government emails on the private server she kept in her basement, was a federal crime, and she’s dependent upon Obama’s blocking the FBI from pursuing it in order for her to be able to make it all the way to electoral victory in November. So far as can reasonably be determined about Senator Sanders, there’s nothing criminally prosecutable in his record. So, his advantage in electability is even higher than would appear merely by today’s numbers. Overwhelmingly, her voters are ignorant, misinformed, deceived. They are suckers, the dupes of a practised liar. She is taking advantage of their gullibility. That’s the raw fact. Perhaps they’ll be angry at me for reporting this fact to them; but, it’s the fact nonetheless, and the person they ought to be blaming for it is: Hillary Clinton. Not the messenger: not me. To get angry at the messenger is to choose to remain deceived.